It’s a known fact that coffee consumption has been on the rise over the past few years and will continue to rise over the next few years. This is probably one of the reasons why opening a coffee shop seems like an attractive venture for some entrepreneurs. However, before you think about investing in a coffee shop there are a few things you need to know and absolutely take into account. We know that knowing how deep the water is before you dive in IS VERY important and that’s why we’ve compiled a list of things to keep in mind when opening a coffee shop. As a coffee lover, the thought of owning your own coffee shop can be very exciting and refreshing but try not to get too carried away and get in over your head with the planning, budget, and capital (which could be monetary or physical – buildings, machines and equipment). Firstly, get acquainted with the basics. What concept do you have in mind with regards to your coffee shop? What about branding and marketing, and legal issues. All these details can be overwhelming as a beginner. That’s why it’s advisable to keep the grand concepts aside for future references. Your goal should be to start a business that will run indefinitely. 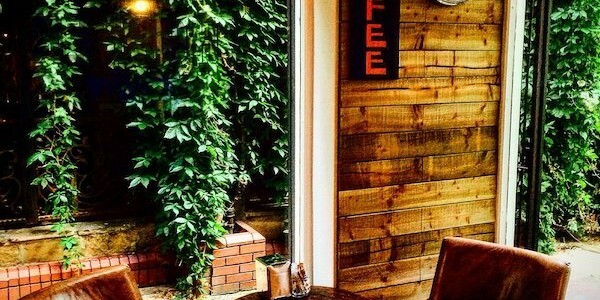 The location of your coffee shop is a crucial ingredient to your success. You don’t want to go signing a lease for a building in a desert land with no commercial activity whatsoever. That’s a one-way ticket to bankruptcy for sure. This should not be taken lightly and should be treated with the utmost care. Preferably get some legal counseling before going ahead with any contract signing or following up on a lease agreement. An important part of any business is the customer service. You have to know what your customers want to be able to provide them with services that they will want to pay for. How do you fix your prices? Consult with experts as finding the right answers can be difficult. Feed your passion and interest by surrounding yourself with people who share the same interest as you. This will help you learn from other coffee shop owners and gain some experience of your own to back up your business plan. Furthermore, it also ensures that you are in the loop and up to date with all the current trends and news. Learn as much as you can before venturing into the business, but don’t stop there. Learning is a continuous process. Figuring out how your brand will be different from others out there and making sure it stands apart is very important. A lot of time should be dedicated to research and planning. Think original and fresh, and don’t be afraid to tap into your creativity and explore your full potential. In today’s you don’t sell coffee, you sell a drink so come up with a nice concept. In order words, do your research to know who your providers and suppliers will be. You can’t make informed choices and decisions with regards to your vendors if you’re not well informed or knowledgeable about a product, which in this case is coffee. You need to know everything about coffee, from its origin to the production process. You should put prices and quality side by side and strike a balance between the two without sacrificing one for the other. You might have to test out different suppliers to see which one fits and works within your business philosophy, budget, and schedules. If you love coffee, remember you can do several coffee-related businesses. For example, AFPKG deal with packaging. Starbuck deals with drinks and some big firms deal with growing beans. You need to find what works the best for you and move ahead with the plan.